DRIVE EXOTIC CARS AND OFF-ROAD VEHICLES ON OUR RACETRACK IN LAS VEGAS! CHOOSE YOUR DRIVING EXPERIENCE. The moment you arrive at SPEEDVEGAS, you'll know you've never experienced anything like it. Bring your exotic car and off-road vehicle fantasies to life on the longest and fastest racetracks in Las Vegas; and that’s just the beginning. Drive Up to Sixteen Exotic Super-cars on a Real Racetrack in Vegas. The Choice is Yours. 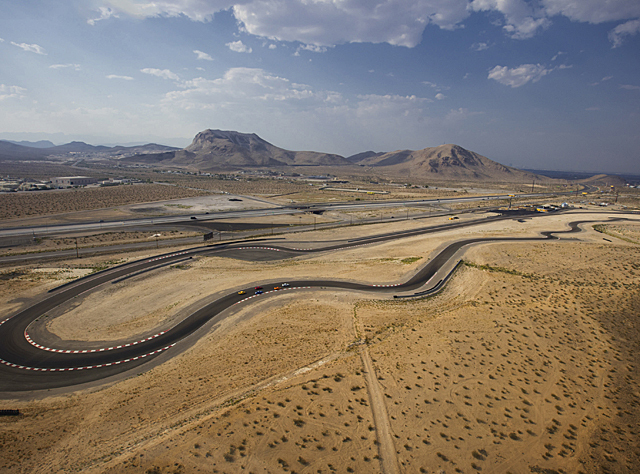 Even if you’ve never driven on a racetrack, SPEEDVEGAS will feel natural the moment you arrive. SPEEDVEGAS is the only award-winning experience designed by pros from the ground up: specifically for you. Single Car Experiences, Porsche Cayman GTS, Roush Mustang RS3, Mercedes AMG GTS, Audi R8 V10+, Porsche 911 GT3, Nissan GTR Nismo, Lamborghini Huracan, Ferrari 488 GTB, Porsche 911 GT3 RS, Lamborghini Huracan Performante, Baja Truck on a dirt track.